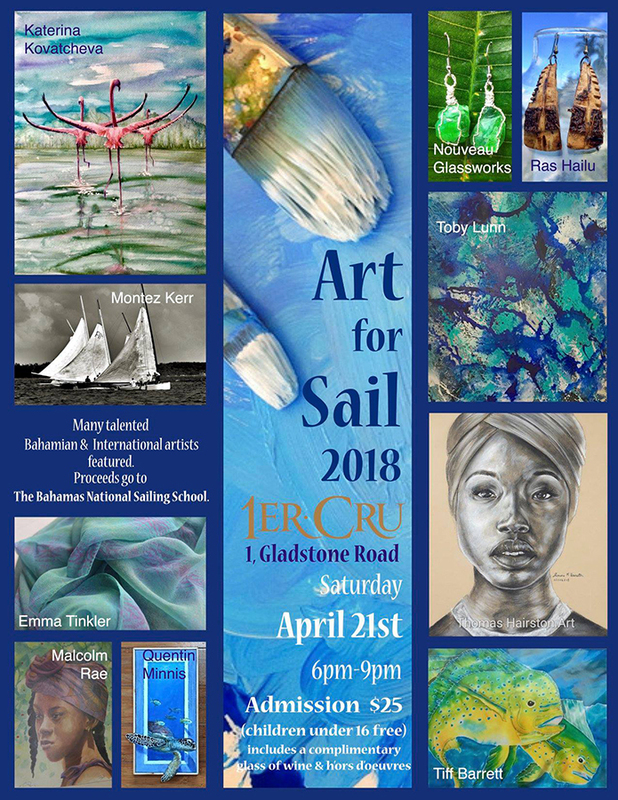 Nassau, Bahamas - Art for Sail 2018 1ER.CRU will take place this year at 1 Gladstone Road on Saturday, April 21st from 6 - 9pm. Admission is $25 (children under 16 free) and includes a complimentary glass of wine & hors d'oeuvres. Many talented Bahamian and international artists will be featured. Proceeds go to The Bahamas National Sailing School.